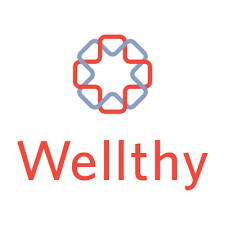 Wellthy, a caregiving solution that is now offered by Healthy Business Group, provides employees with guidance when it comes to giving care to a loved one. When utilizing this tool, employees will have a Care Coordinator who will act as their personal healthcare advocate and expert. “We are excited to announce our new partnership with Wellthy. The services Wellthy provides to our members who care for loved ones is outstanding. This is a service that directly affects the quality of life for those receiving and providing care. Caring for a loved one, and juggling the rest of a busy life, is incredibly difficult. By utilizing Wellthy, HBG members will have peace of mind knowing they have the support they need when they need it”, said Ronelle Lichman, HBG’s Director of Health Innovation. Housing: Senior Living, Short-Term Solutions, Moving, etc. 1 in 5 employees are caring for sick/aging loved ones? 67% of caregivers miss work or take unpaid leave? Women take on the majority of caregiving? A company will lose millions per year in lost productivity and lost revenue due to caregiving distraction? Allow your employees to have peace of mind, focus, manage care, quality, and costs, and immediate expert help without an added expense. About HBG: Healthy Business Group knows the only sustainable way to reduce healthcare costs is by improving health. HBG’s measures-based, behavior driven health improvement model seeks sustainable healthcare cost control for employers of the the mid-market. As employee engagement specialists, the team at HBG recommends programs based on their clients’ corporate culture to decrease healthcare costs and increase employees’ wellbeing. HBG’s Health Innovation Team and a unique partnership with the National Business Group on Health puts us at the forefront of the constantly changing wellness industry.